From late September to late October, the NBA’s 30 teams trim their rosters from as many as 20 players to 15 for the start of the regular season. The cuts come fast and furious, but being waived does not mark the end of the road for many players across the league. In fact, the players cut during training camp are much more than a blip on the radar from the NBA D-League’s perspective. NBA rules allow teams to designate up to four of those prospects as “affiliate players,” meaning they are automatically allocated to the D-League affiliate of the NBA team that cut them (provided they choose to sign an NBA D-League contract). Unlike in baseball, affiliate players remain free agents available for any of the 30 NBA teams to sign. Still, the designation is a vote of confidence for prospects. It’s an indication of who NBA teams are interested in, allowing teams to closely monitor certain players on and off the court, keep them within the same offensive and defensive systems using the same terminology and many of the same plays, and work on their skill development with their own coaches. 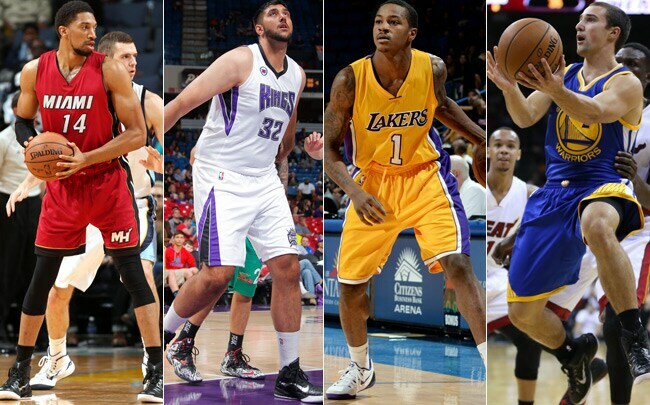 During the 2013-14 season, affiliate players Chris Babb (Boston-Maine), Troy Daniels (Houston-Rio Grande Valley), Dewayne Dedmon (Golden State-Santa Cruz) and Justin Hamilton (Miami-Sioux Falls) were called up by teams that had cut them in training camp.